Home You n Entertainment Unbreakable: Ex Hubby Lamar Odom Is Ready to Win Khloe back! 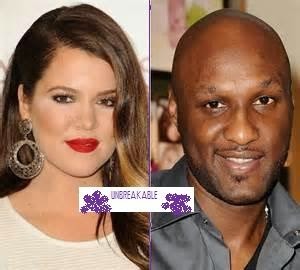 Unbreakable: Ex Hubby Lamar Odom Is Ready to Win Khloe back! Could this mean that the Ex husband and wife are working on a possible reconciliation? "[Khloe's spilt will] make it that much easier for him to get back with her and be her husband. He wasn't too fond of that rapper anyway and thought he was a sucker- Khloe's rebound man! Real love always wins in the end. He knew that wasn't going to last. French was there so she could get her mind off Lamar. We all know that. He did his job, played the role he was supposed to play, and now he's gone. Just like that!"